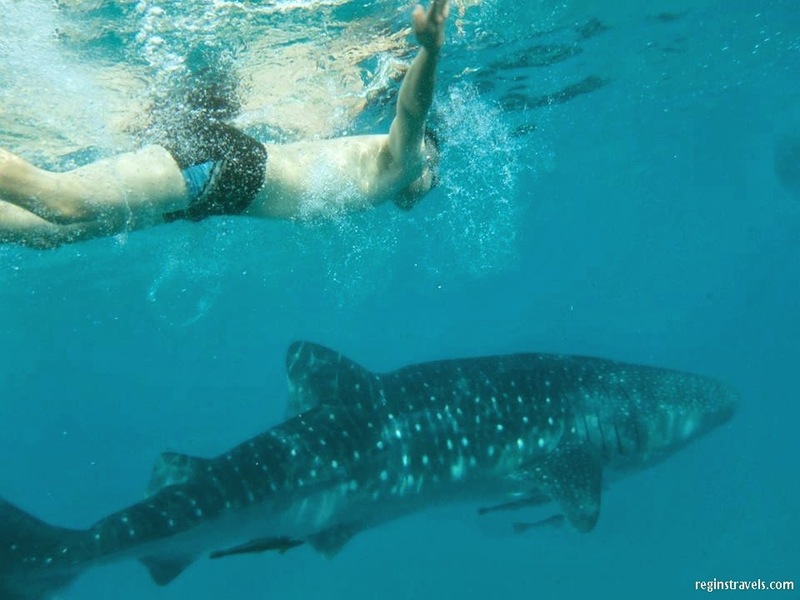 Oslob, once a sleepy town in southern Cebu in the Philippines is now a world-famous destination because of the whalesharks. It was my dream to swim with those gentle giants, so just two days ago, that dream became a reality. I went to Oslob from Cebu City and swam with whalesharks. The experience was breath-taking. One of my best experiences so far. I departed Cebu City at 4am and arrived at Tan-awan, Oslob at around 6:30am. 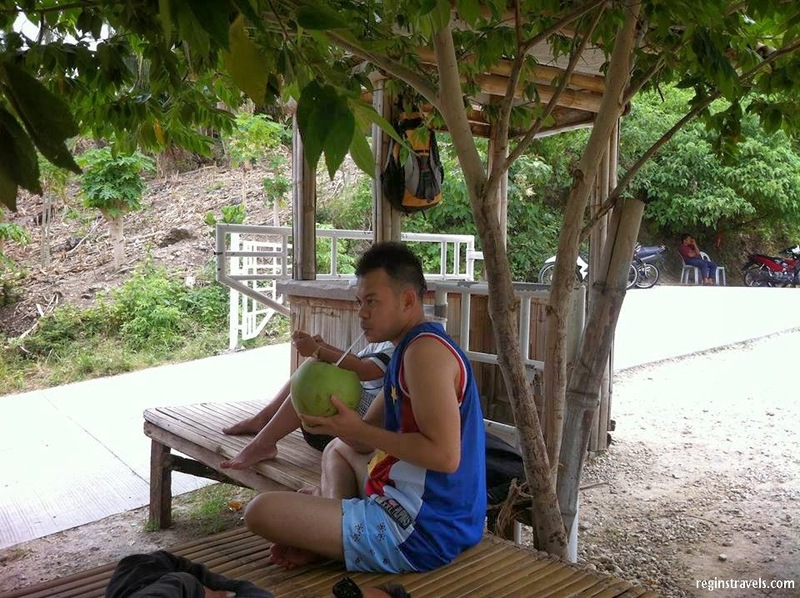 The trip going to Oslob is very wonderful experience. Along the way, I witnessed wonderful sceneries of Southern Cebu which includes the view of the sea and mountains. Vast blue waters, fishing villages, wonderful mountains-the trip itself is an experience. Plus the bus is so comfortable. One of the best buses I have ridden in the Philippines. Its name is Ceres Bus. As I was nearing Tan-wan, the barangay where the whaleshark watching site is located, I saw many billboards of resorts with pictures of whalesharks-a sign that I was near the site. Living in populous, chaotic, Cebu City for a few days, the fresh air, laid-back environment, low population of Oslob was a respite to me. I immediately fell in love with the place. Plus, my excitement was very strong because finally, I will now swim with these giant creatures. After a short briefing, I was there in the sea enjoying the whalesharks. It was simply amazing. The waters were clear and the boatman, who also served as my photographer, was so helpful and friendly. It was an amazing experience that I can’t forget. Swimming in the sea with nature surrounded by large creatures. Before the whalesharks became a tourist attraction, Oslob was a sleepy town-a town where residents relied on fishing and farming for a living. The people there were poor. Residents there hardly saw foreign tourists. But now, the lives of locals there are better. They are richer now, especially the residents of barangay Tan-awan. I talked and mingled with locals there and was able to gather some information. Now, you can see that the houses of the locals there are now made of bricks and it’s getting nicer and bigger. There are also a number of business establishments like resorts and restaurants-as well as small eateries or carinderias along the road. Indeed, tourism has boosted the place and have improved lives of people there. That’s why I always say “Travel and be a blessing to others.” Oslob is the perfect place to witness how traveling improves the lives of others as well. I really love Oslob. For me the whalesharks are just a bonus-because even without the sharks, Oslob in itself is beautiful. Sure it doesn’t have the powdery white-sand of El Nido, nor the elegant resorts of Boracay, but it sure does it have its own charm. These are some of the reasons why I live Oslob. 1. The scenery-Oslob is mountainous. And from the mountains you can see the vast sea, blue to green waters, islands, small fishing boats, and lush vegetations. A motorcycle ride is perfect in this place. 2. It’s laidback- This place is a haven especially to city-dwellers. The air is fresh, it’s not populated, it is quiet, it’s peaceful, safe, and it has clean and clear waters. It’s a perfect place to just relax and drink your favorite beverage while looking at the sea. Yes, even with the boom in tourism, it is still laid-back. But I’m sure this will change in a few years. So visit Oslob now before it becomes a tourist circus, tourist trap ala Thailand. Since it’s laidback, it’s also a perfect place for dating and honeymoon. 3. 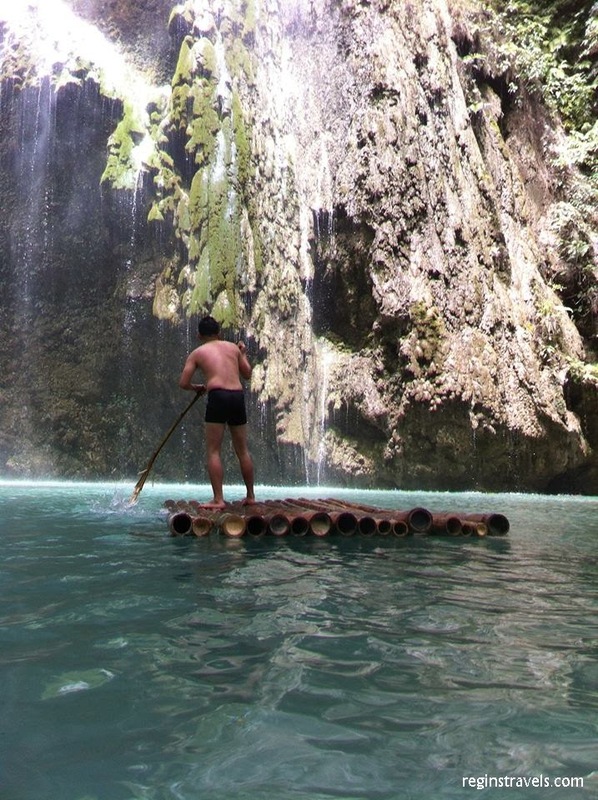 Majestic Tumalog falls-I was amazed by God’s wonderful nature when I saw Tumalog falls. After a tiring swim with the gentle giants and after relaxing by the beach, I went to have a bath in the cool Tumalog falls up in the mountain. It’s fresh cold water, bluish-green lagoon, and lush forest is simply too amazing for me. It is a must-visit when in Oslob. The government of Oslob cemented the road going to the falls so it’s now more convenient. Kudos to the government of Oslob. Buy some refreshing coconuts from the locals after your swim in the lagoon. 4. Friendly locals-The locals of Oslob, together with the locals of Bagan, Myanmar are the friendliest locals that I have encountered in the world! Most locals of a tourist destinations are aggressive, rude, scammers, and nosy. But here, wow! They are so kind, friendly, and helpful. No scammers, no touts, no annoying tourist trap offers. They’re just there to make a living without fooling people. One example is the motorbike drivers to Tumalog falls there in the mountain. They are waiting for customers for them to take to the falls for 20 pesos, but told me “sir, it’s up to you if you want to take a motorbike or not, the distance is not that far, you can walk if you want”. Since I am on a budget and I want exercise, I just walked. That’s how kind and honest the people are there. Mingle with locals. Talk to them and they will tell you stories about the whalesharks. I enjoyed mingling with them. 5. It’s convenient-The place is packed with resorts, guesthouses, homestays, lodging houses, restaurants and small local eateries called carinderia. The transportation is also super convenient and cheap. Wonderful buses to Cebu called Ceres pass by every 15-minutes. All the roads are cemented. Tricycles and habal habal (motorcycle taxi) can be hired for traveling around the area. 6. It’s historical-There are churches from the Spanish regime and colonial houses in that place. I wasn’t able to visit them due to lack of time but I saw them while I was in the bus. These are also great sites to visit especially if you love history and culture. 7. Island hopping and swimming-The beach is not powdery, but the sand is also white. The waters are warm and clear. You can hire a boat to go to nearby islands as well. The luxurious Sumillon island, famous for its super blue waters can be seen from the whalewatching site beach. It’s very near that place. 8. Whalesharks-The highlight of them all. The main attraction. It was a dream come true and finally being able to cross it out off my bucketlist when I swam with whalesharks. It was a marvelous moment. Oslob is a beautiful town 3 hours south of Cebu city. Visit this place and you’ll have a great time. At the same time who can also contribute to the growth of their economy and help improve the lives of locals there. -Take a bus from Cebu City South Bus Terminal. -Travel time is 2 1/2 to 3 hours. -Cebu City has an airport and a pier. From pier or airport, take a taxi going to the South Bus Terminal. -Going back to Cebu City, Ceres Bus passes by every 15 minutes. Just wait beside the road. 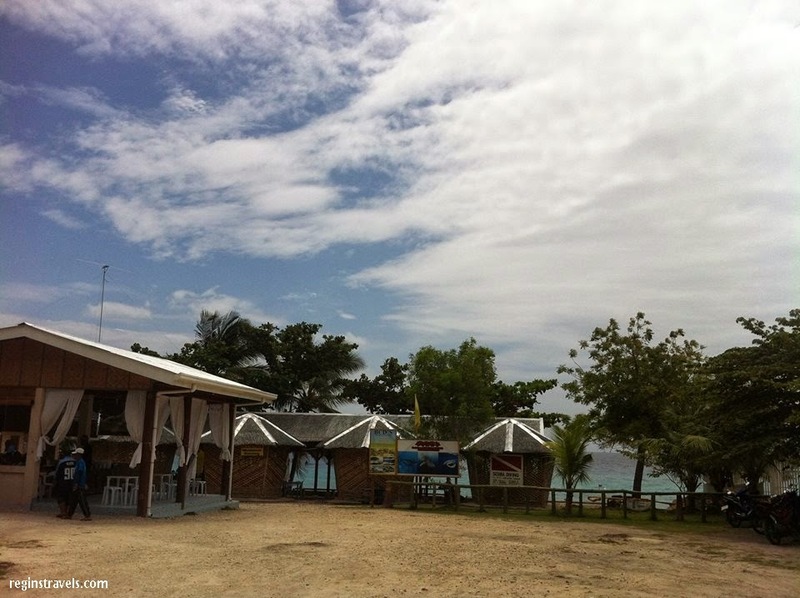 -There are also lots of guesthouses in Oslob if you want an overnight stay. -Whaleshark watching/swimming is just from 6:30 am-12:30 pm. totally an awesome experience I say! When you're free - Would you mind taking 3 - 5 minutes to answer a few questions in a short survey on your travels? Recently, I've been working on a new (hopefully awesome) travel app and I really hope to get your opinion on this, since you're a seasoned traveller. This'll help me so much - thanks! 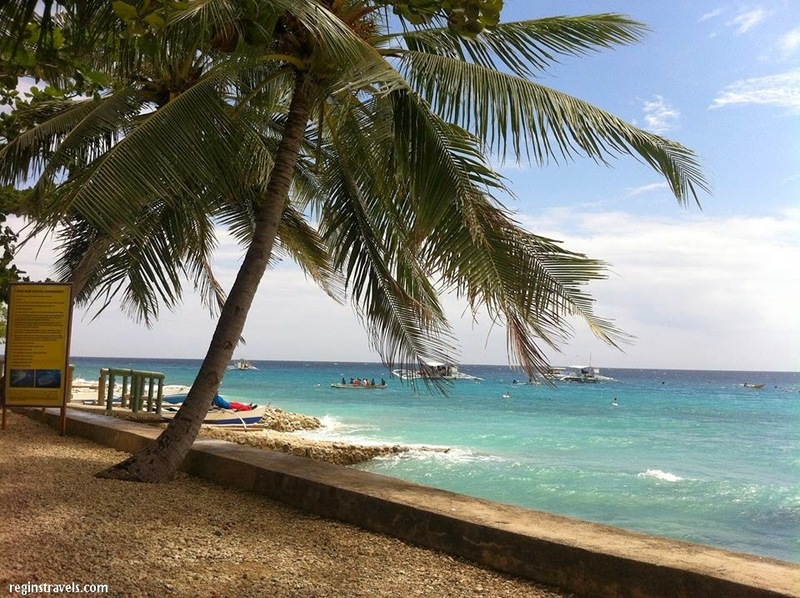 Snorkeling is a great diversion from the more strenuous scuba diving activities of the day and one of the best diving sites in the Philippines is Oslob, Cebu. That's a great trip! I hope we can go there when we visit Cebu. By the way, I'm looking for a hotel in the City, do you have any recommendation? One of my choice is Summit Circle Cebu, what do you think? Hi. Sorry for the late reply. I hope you had a great time in Cebu. Wow! This is really amazing. I never knew how amazing Oslob with its attraction. thanks for this one.